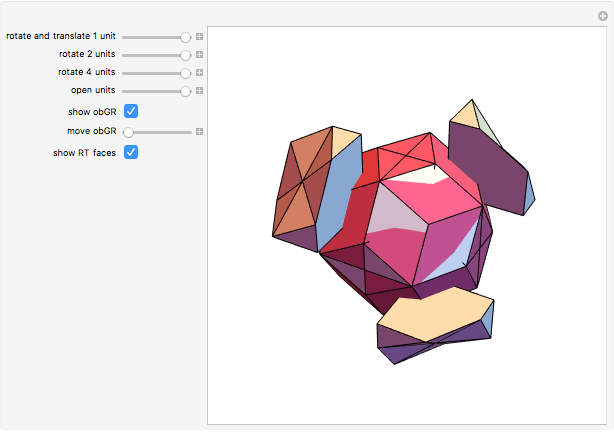 A space-filling polyhedron with 54 faces is assembled from 8 units. The first two units are produced by dividing a cube along six triangles; this corresponds to the surface formed when an oblate golden rhombohedron (obGR) is cut into two pieces. The first two units are mirror images of each other; one of them is rotated and translated to be beside the other. Then copies of the two units are rotated to form four units. Finally, copies of the four units are rotated to produce all eight units. 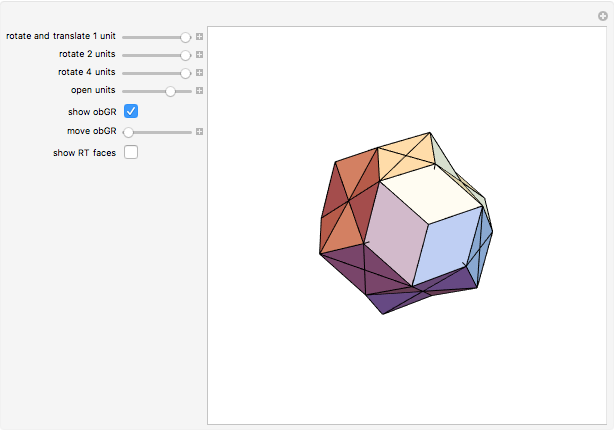 Certain faces of the obGR and the corresponding rhombic triacontahedron (RT) can be shown. 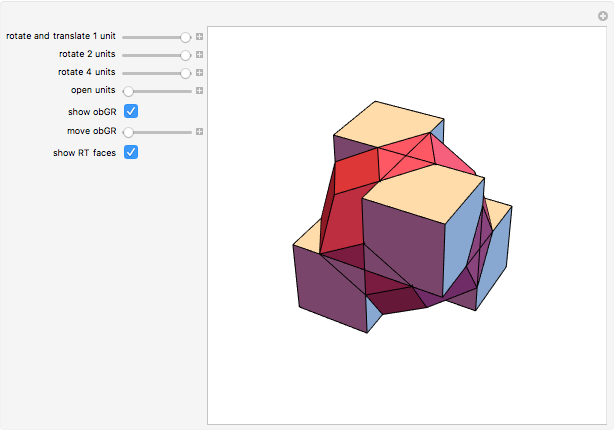 Sándor Kabai "Symmetries of a Space-Filling Polyhedron with 54 Faces"